Both teams need a win in this game and for the home side, if they lose, they are probably facing up to the fact that their campaign is over. The away team know that a win will clinch home-court advantage in the playoffs, which is perhaps all the incentive that Fenerbahce need heading to Spain. The home team have a 10-12 record in the Euroleague this season, notching a 5-5 record in the regular season while they currently hold a 5-7 record in the Top 16. Their opponents are in better shape, sitting with an 18-4 record in the Euroleague this campaign. This includes an 8-2 record in the regular season while the team from Istanbul also holds a 10-2 record in the Top 16. Knowing that home-court advantage is in their hands will be a big incentive for the away team in this game. 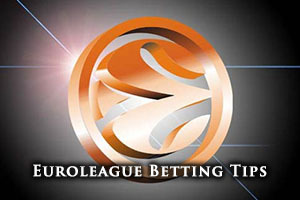 With respect to average points scored, Fenerbahce hold a narrow advantage, 82.3 to 81.0. One of the biggest problems for Laboral is the fact that they are going to be without Davis Bertans for the rest of the season due to a knee injury. Bertans has been the top scorer for Laboral so far this campaign, notching an average of 11.0 points per game this season. This means that that players like Fabien Causeur, Ben Hansbrough and Fernando San Emeterio will need to step up. Causeur has delivered an average of 2.2 assists per game this season while Colton Iverson has also played his part, offering up an average of 5.9 rebounds per game this campaign. For Fenerbahce, Andrew Goudelock has offered up an average of 16.8 points per game this season and he is sure to be a key player. Another major player for the Turkish side is the Euroleague MVP for March, Nemanja Bjelica. Bjelica has offered up an average of 8 rebounds per game this season, and his recent form has been an instrumental part of the run of form that Fenerbahce have been on. The Turkish side have also been boosted by Emir Preldzic, who has provided an average of 3.1 assists per game this season. The away team will be without Ricky Hickman, who has also seen his season curtailed due to a knee injury. Laboral are off the pace in Spain, sitting in 5th place, with a 15-11 record. Their most recent domestic game was a 94-88 home win against Valencia. 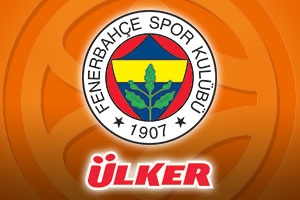 In Turkey, Fenerbahce are sitting at the top of the league with a 19-5 record. Their most recent domestic game was an 89-75 home win against Muratbey Usak Sportif. Taking the Turkish side with a -4 handicap, at odds of 1.90, is likely to be a good chance for you to have a bet that will go right to the end and have a strong chance of succeeding. If you are interested in the Over/Under market, look to go OVER 160.5 at odds of 1.90. Bet Now!